Petopia is an AMAZING resource and a website EVERY hunter should have bookmarked. 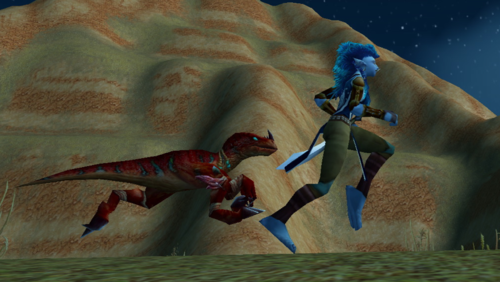 Petopia was the first WoW website I ever went to when I was leveling my first baby hunter and wanted to find a cool pet that not many other people had. Petopia doesn’t just index all the cool pets, it also tells you where to find them, what their abilities are and at what level you can tame them. The information in this post is a consolidation of large amounts of information from Petopia and Wowhead, organized in a logical way for new hunters. A note about the pet list: Petopia indexes the abilities by pet, I list the pets by ability—if you know what buff you need, this list will tell you which pet provides it. 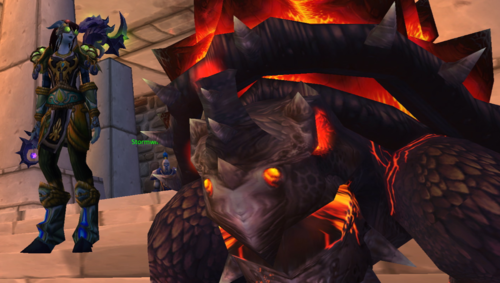 What’s different in Warlords of Draenor? There are a lot less changes in Draenor than there were going in to Mists, so we can be thankful for that! The only real changes are a loss of pet CC (discussed below in the PvP section), some pet buffs were shuffled around to accommodate new stats being introduced in 6.0, and a few new pet families are available to tame. Replaces the rhino family, all rhinos are now clefthooves! Like a chimaera, but 300% more horrifying! We asked, and Blizzard listened… we can finally tame a druid! When should I use which spec? When you quest, you’ll more often than not be using your pet as a tank, so you’ll want a solid pet with good defensive abilities at your side. Any pet can be a tenacity pet now, so if you want a tenacity sporebat, make it so! But keep in mind only certain pets have special abilities that lend themselves to the tanking role better than others. 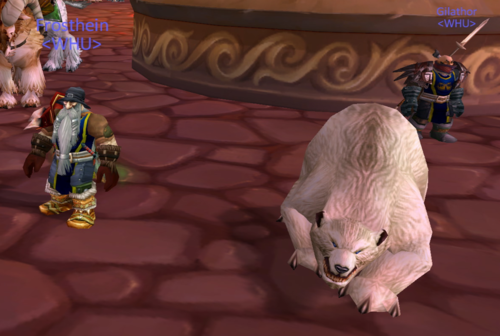 Bears and turtles are my picks for the best tenacity pets and I personally use a turtle for all of my hunter tanking needs. I have tanked adds in phase one on Nefarian with my turtle. 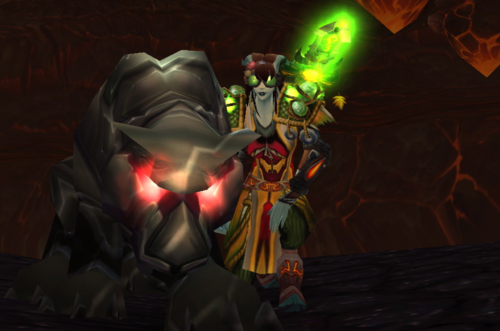 I have tanked Sunwell Plateau with my turtle. I have soloed countless dungeons and raids with my turtle. Why turtles? They have the ability Shell Shield, which reduces the turtle’s damage taken by 50% for 12 seconds every minute. Clefthooves have this ability, too, but turtles are a non-exotic family that can be used with every spec and tamed at very low levels. Quilen are also a very good option for a tank pet, because they have the ability Stone Armor, which is a lesser damage reduction than a Turtle’s Shell Shield, but give your pet a self-heal whenever he drops below 40%. This self-heal, combined with Mend Pet, should get your pet through most damage spikes without much trouble. Pro tip! A cool turtle you can tame at level 23 is Ghamoo-ra in Blackfathom Deeps. If you are not having problems staying alive while questing or prefer to level via Random Dungeon Finder, you will want to use a ferocity pet. The most universally useful ferocity pet is the cat, for the Roar of Courage, which is a mastery buff. Cats are also some of the most common beasts in the game with dozens of different skins, so you can very easily find one you like. Wolves are also a really useful pet to keep on hand for their Furious Howl buff, which increases your crit chance by 5%. Pro tip! 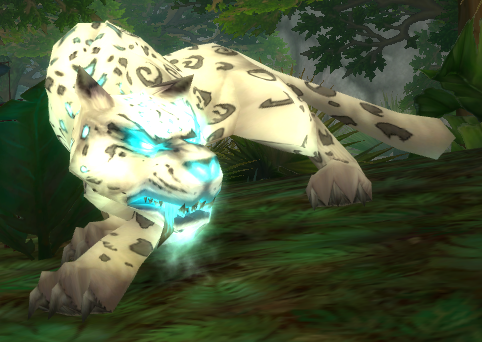 A cool cat you can tame at level 19 is the spawned Ghost Saber in Darkshore. If you plan to PvP at all, you will want to get a pet that gives you an extra advantage against other players. The best pets for PvP are usually the ones that can provide some CC for you, so you will want to pick up a spider, monkey, dog or crab. Spiders have a ranged slow with their Web Spray ability, slowing enemy movement by 50% for 6 seconds. There are several other pets that provide great utility for PvP, but Spiders are my recommendation for a universally good PvP pet. As always, choose the right pet for your play style and opponent. Spiders are everywhere, you can find them in Tirisfall Glades, Elwynn Forest, Teldrassil and Ghostlands all by level 10. Once you level a bit more, you might want to branch out and tame some pets based on the buffs or debuffs they provide your group. If you plan to raid, especially if you will be raiding in a 10 man, you will want to bring a pet that will benefit your raid group best. We have over 15 different buffs/debuffs/abilities we can provide, be sure you are prepared to fill a role should your raid group need it. Well, nice stuff. But you don’t need pet when you have LONE WOLF! Focusing shot is better in almost all situations. Well not exactly true. 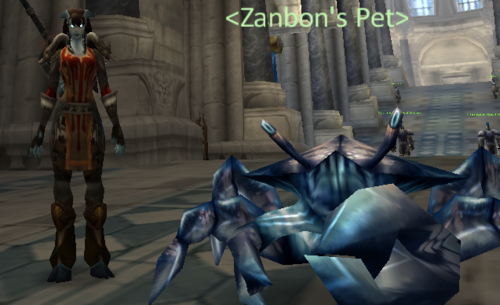 Pet is a must for a PVP, no matter which spec you are. Pet’s have some nice CC skills which you can find them very useful in player versus player combat. This is exactly what I was looking for, though. Thank you! Haven’t played a hunter since early Cata and was wondering how to go about things. Wasn’t there a hunter ability awhile back that allowed you to change out your active stable while in the field on a long cooldown? 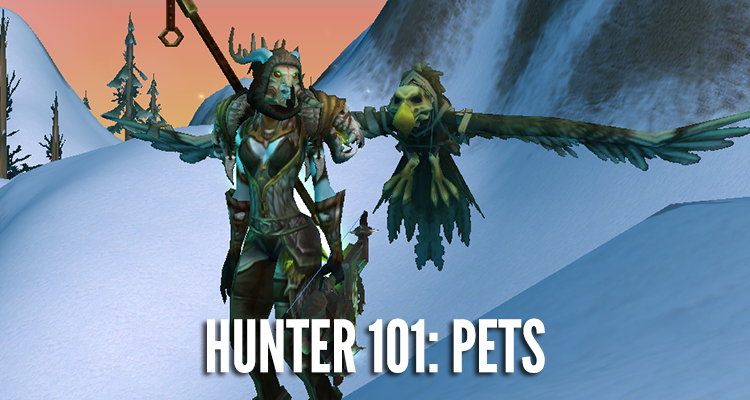 The reason for asking is I’m trying to get all the ‘required’ raiding pets on my hunter but I’m nervous I’ll be asked to bring out a pet and will have to run back to town to switch it out. Amazing guide! Very informational, loved it.